In this world where almost every person is looking for prompt answers to all of their problems, the business can be done with no distinct ideas. 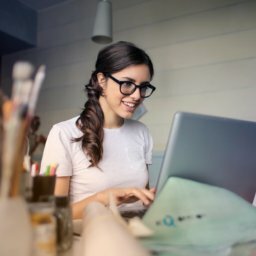 As an entrepreneur, you only want your customers being satisfied with your services or product so that you can increase the pool of clients that you work with. One of the ways is to give them instant results & actions. The best way for this must be something which is accessible to your clients and you will be in touch with them in an easy and simple way and by which you have the surety of your message being delivered to them. This can be fulfilled by using Short Messaging Service, commonly known as SMS. Now, which SMS APP in Salesforce you should use to improve your Customer Relationship? Well, 360 SMS App does just the job for you in a simple and easy way. It is the most complete SMS related requirements’ solution. It’s a cloud-based platform for all the Salesforce empowered companies. Salesforce Inc. is not unknown to the world. It is one of the world’s leading customer relationship management platform (Salesforce CRM) that works with cloud-based storage. Salesforce has a wide range of services and products for all its users one of which comes under the flag of its AppExchange. On the Salesforce’s AppExchange, you can find multiple software developed by individual developers. The benefit on salesforce app platform is that the users get features of Salesforce in addition to individual features of each application. 360 SMS APP is also available on AppExchange. Just Search for “360 SMS” on AppExchange and you will easily find it. 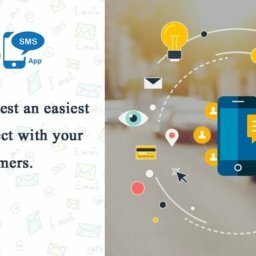 With this application, you can simply send out as many messages as you want to that is there is no capping limit to the number of messages sent out to your customers. There are other functionalities available in this app like conversational 1-on-1 texting, you will get email alerts on the incoming SMS, call auto-forwarding and many more other features. This would become a boon to all the businesses and companies who aspire to have a big clientele, and well that’s everyone out there right? So don’t wait anymore and buy this app right away from Salesforce’s AppExchange or request for a demo and its ready-made for you to use, work and grow your business like never before.